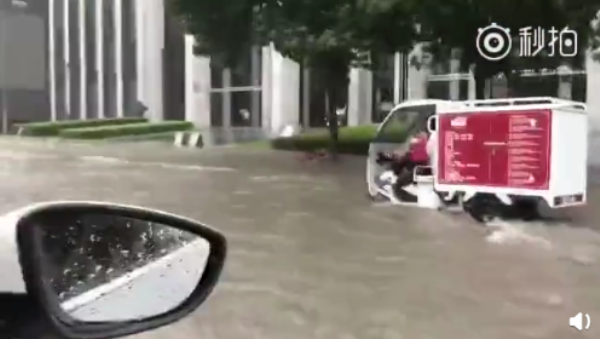 After a week of flood disaster relief in its northern end, Beijing was hit with more rains from the first typhoon to reach the city in over a decade. Beijing issued a citywide yellow alert for rain yesterday morning after Typhoon Ampil made its arrival since Monday night, dropping an average of 2.4 centimeters of precipitation in 12 hours. 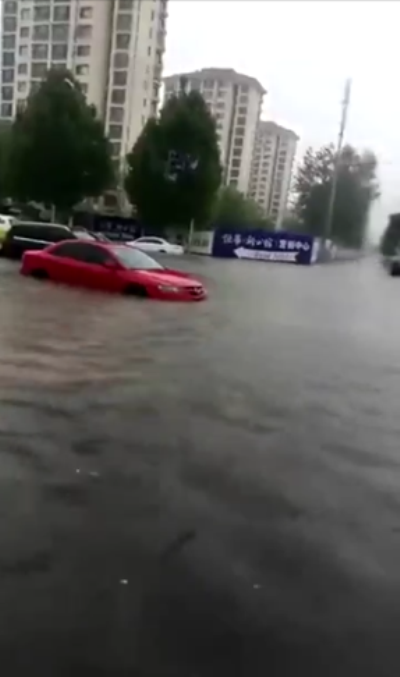 The heaviest rainfall fell on parts of Tongzhou, which received over 10 centimeters over the same time and was been issued a local orange alert for rain, as had the districts of Pingu and Miyun. The government has issued a continued warning for potential mudslides in these outer-city areas. Some 18,171 Beijing residents have been evacuated, of which over 5,000 come from Miyun where relief efforts have continued since last week when it was hit by heavy rains. With the city raising a Category III emergency response, some 165 scenic areas remain closed as heavy rains and flood conditions spring up around the city. 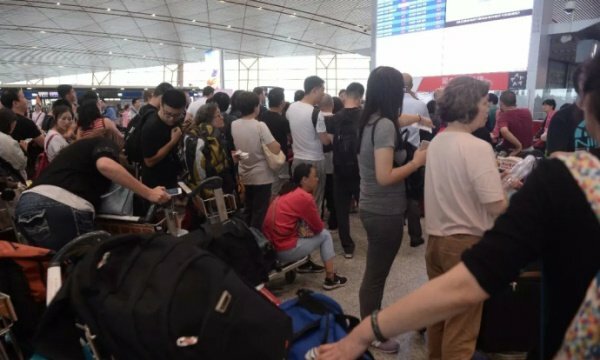 Eighty-six flights were canceled by Tuesday afternoon at Beijing Capital International Airport, which issued an orange alert for its flight status. As the 10th typhoon of the year, Ampil made landfall at Shanghai on Sunday, bringing with it winds traveling at 28 meters per second at its eye. Typhoon Ampil prompted the evacuation of 220,000 people from flood-prone coastal areas as well as the cancelation of at least 600 flights from Shanghai’s two airports. Despite all the havoc, Ampil has caused Shanghai, Beijing isn’t as likely to bear the typhoon’s wrath. Rains stopped around yesterday afternoon, and it is forecast to remain dry for the rest of the week. For as much precipitation Beijing has received over the past week, there is not much of a precedent in which typhoons are to blame. Typhoon Matsa, the last typhoon to reach Beijing in 2005, only brought light rainfall to the capital despite causing 25 direct deaths and 18 billion yuan worth of damage throughout China.